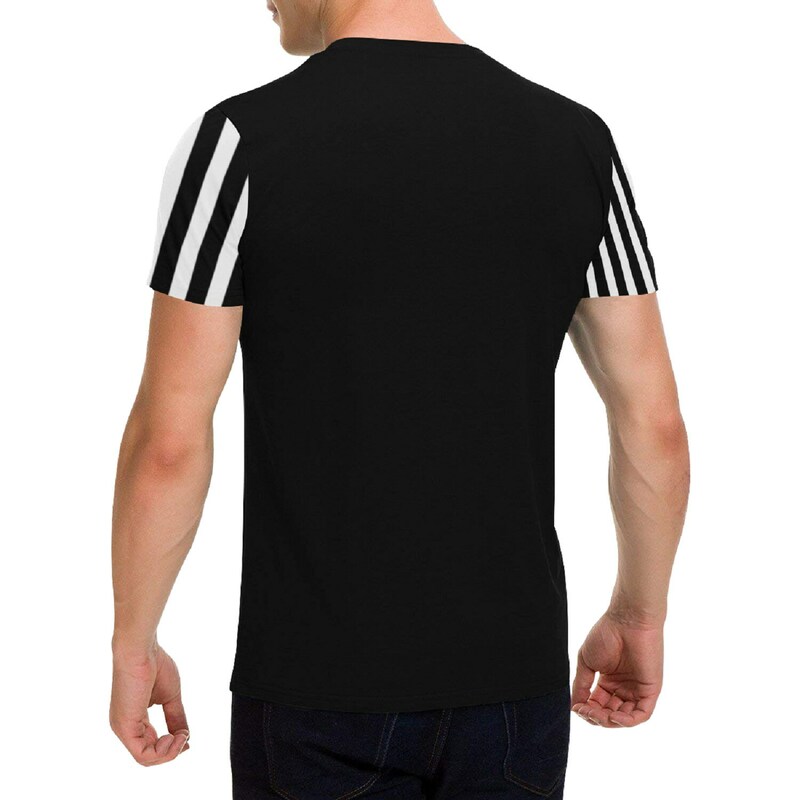 Crafted in 100% polyester with your own design which combines comfort and vogue. 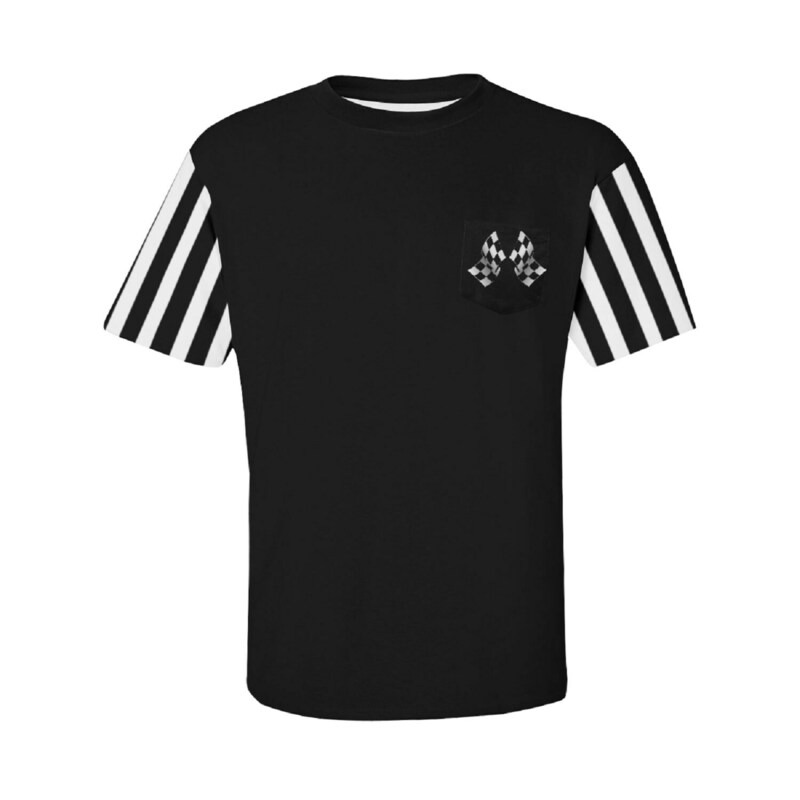 This t-shirt has some great features, it has a chest pocket, elastic collar and cuffs. 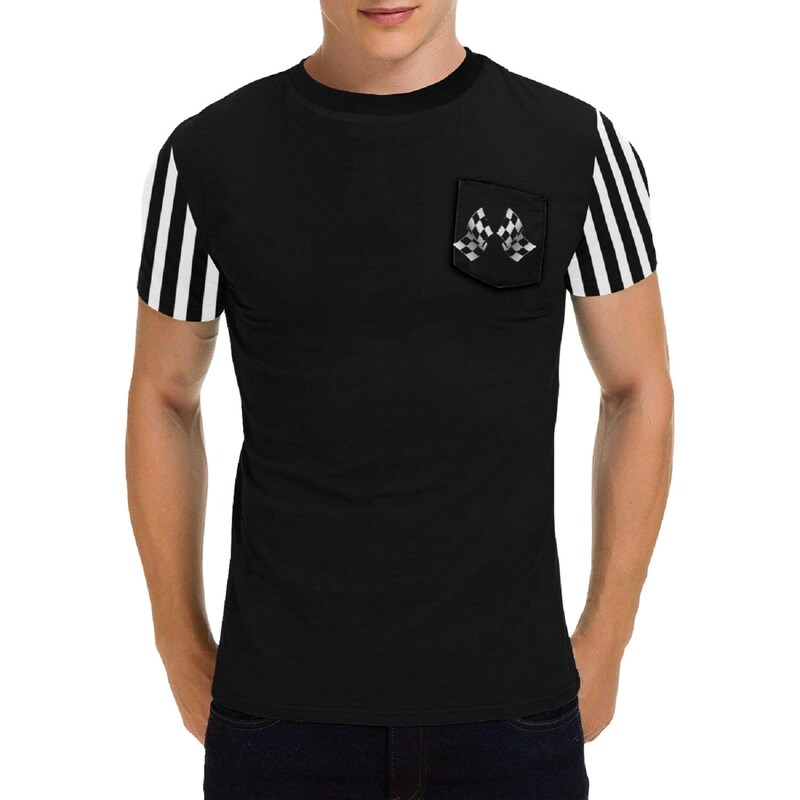 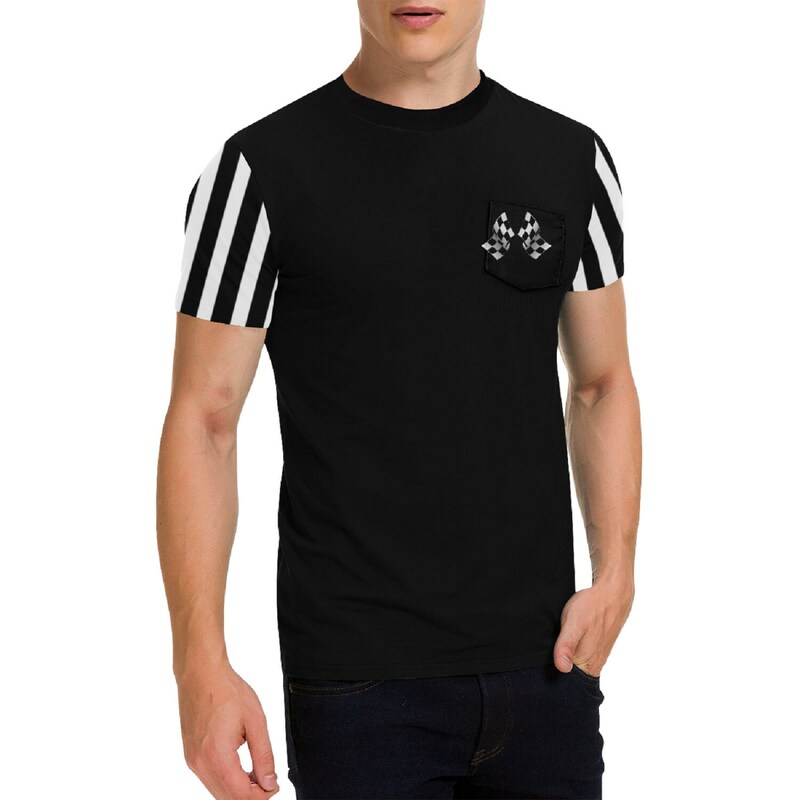 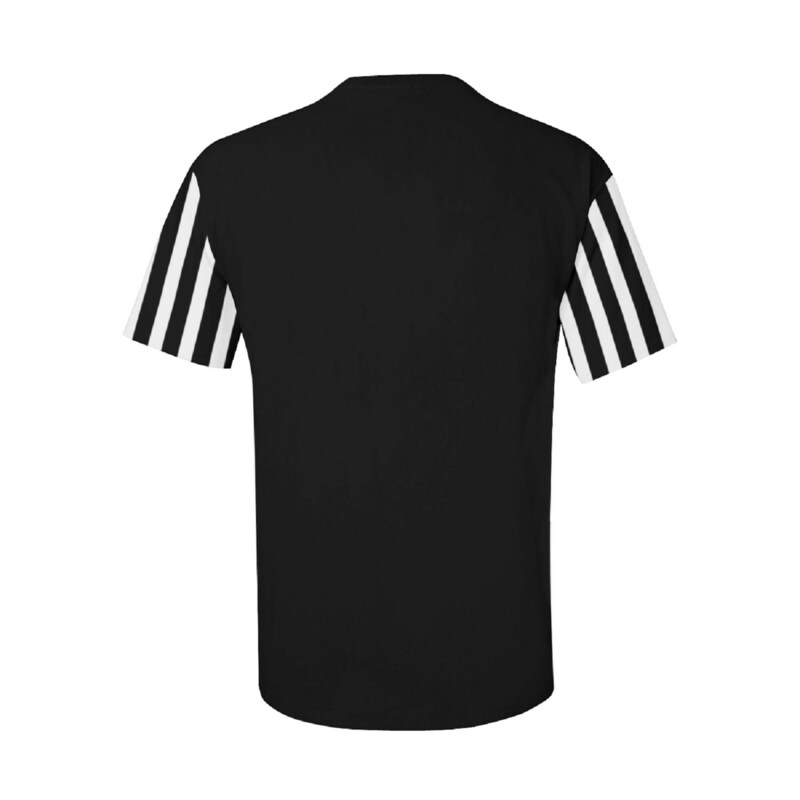 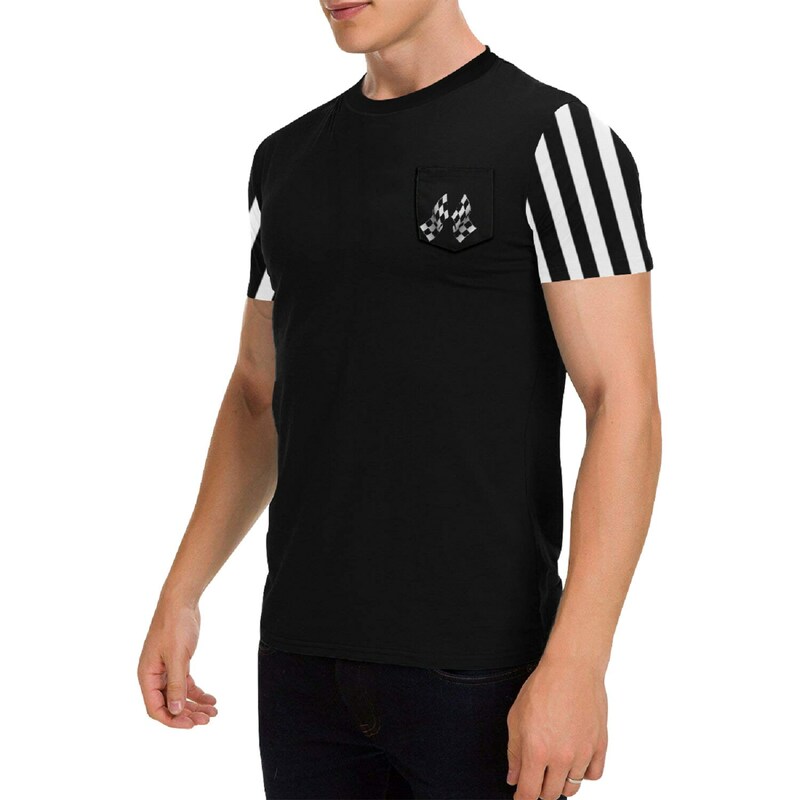 Racing flags on chest pocket, striped short sleeves and solid black front and back.